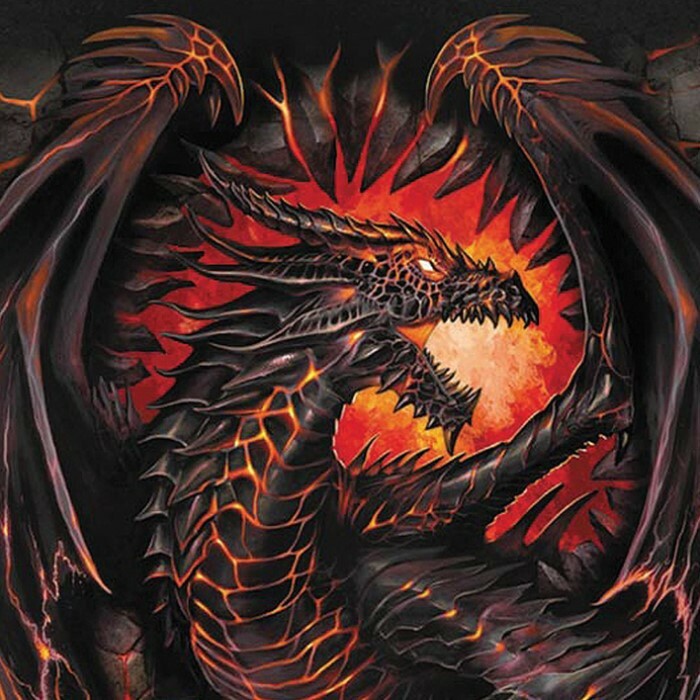 The Black Dragon has finally been released from his prison of fiery lava and, with the fire of a thousand millenniums in his belly, he is out for revenge on his captor. 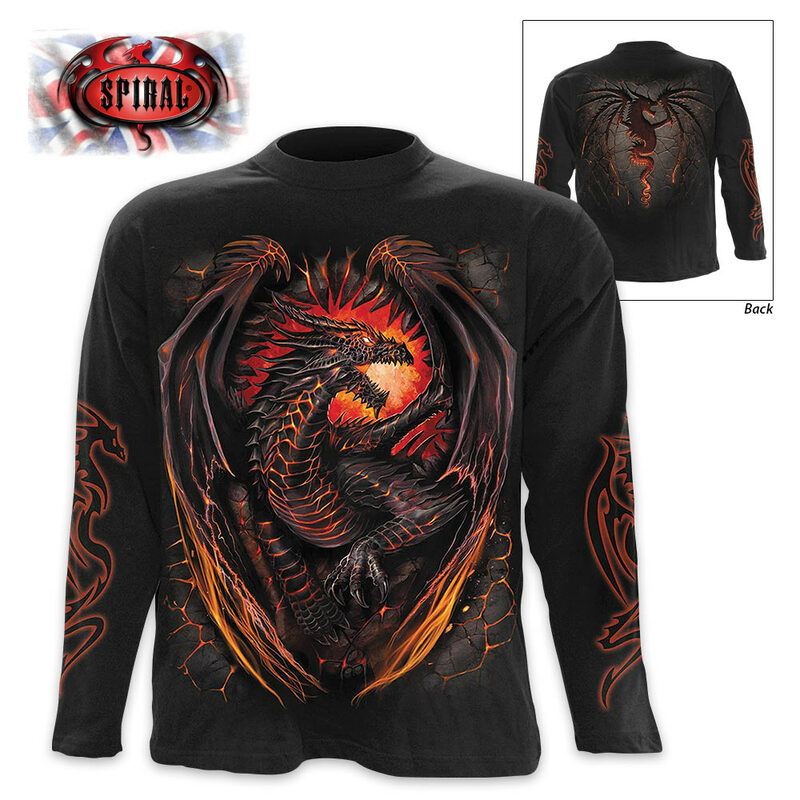 The black wrap, long-sleeve t-shirt is completely covered in vibrant, original artwork. It's made of top quality 100% cotton interlock and skin-friendly, Azo-free reactive dyes were used. 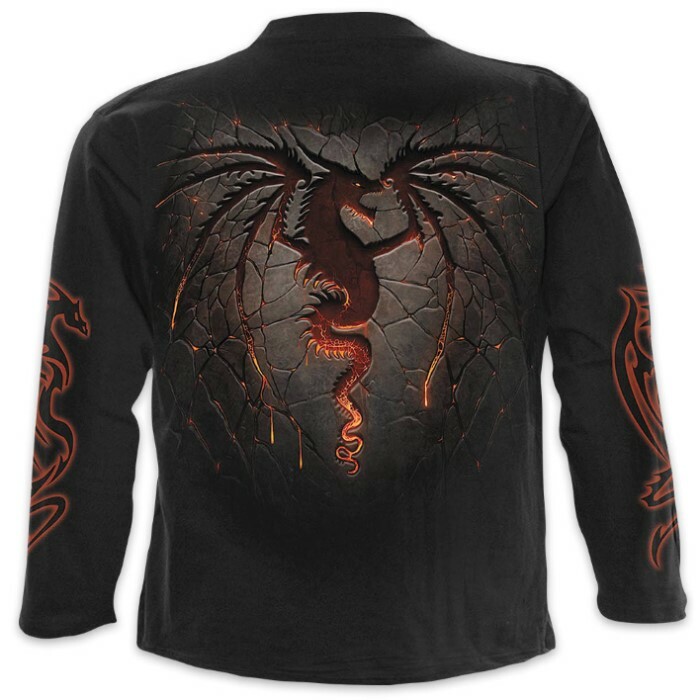 The shirt comes in large, 1XL and 2XL.